Maeve (Thandie Newton) charms Lutz (Leonardo Nam); Elsie (Shannon Woodward) uncovers possible sabotage; the Man in Black (Ed Harris) and Teddy (James Marsden) run afoul of a garrison. 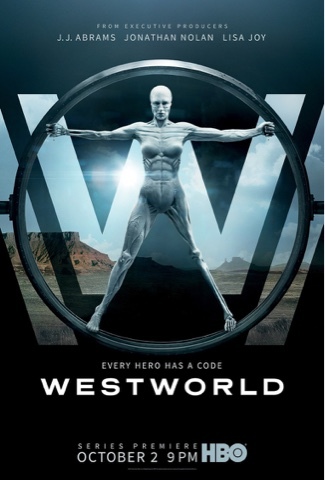 WESTWORLD is created for television by Jonathan Nolan & Lisa Joy, based on the film written by Michael Crichton. Production companies, Kilter Films, Bad Robot Productions and Jerry Weintraub Productions in association with Warner Bros. Television. Executive producers, Jonathan Nolan, Lisa Joy, J.J. Abrams, Jerry Weintraub, Bryan Burk.